The Christmas month has arrived and we’ve been helping you with various Christmas related stuff. 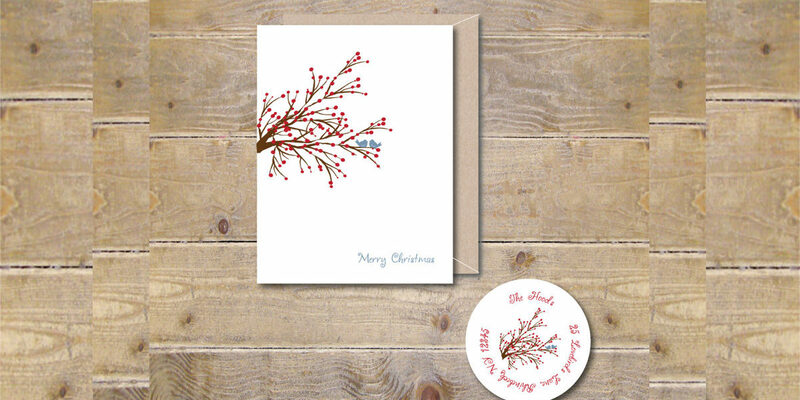 Christmas cards too have their own charm and we helped you download a few. We thought of an addition but this time in the form of DIYs. It is holiday season and it is a great time to indulge in a hobby. 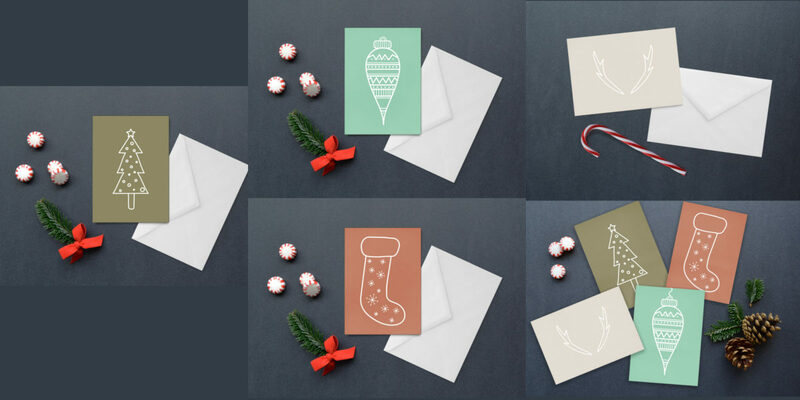 Here are some awesome Christmas cards we found online that you can create at home for your loved ones. 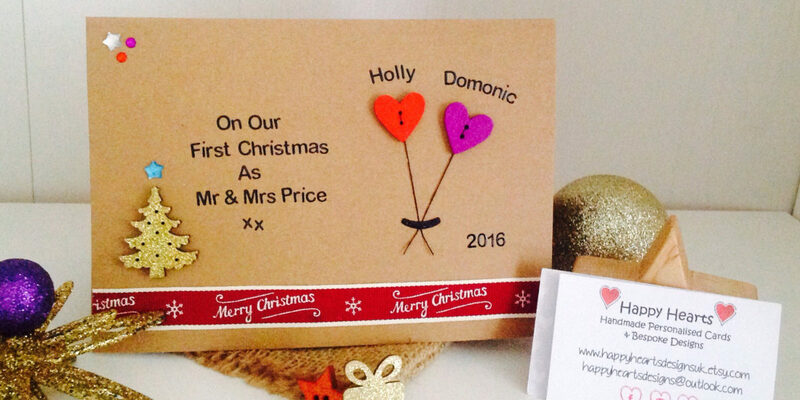 You definitely need good calligraphy skills to make your own Christmas card, if not then atleast decent handwriting. 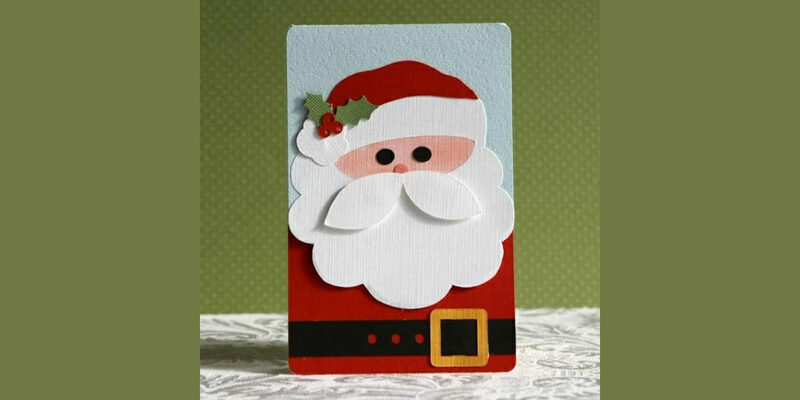 Draw a nice traditional style red and white border and then a santa or use a cut out and stick it on your card. Simple and to the point. This card is easy to create. 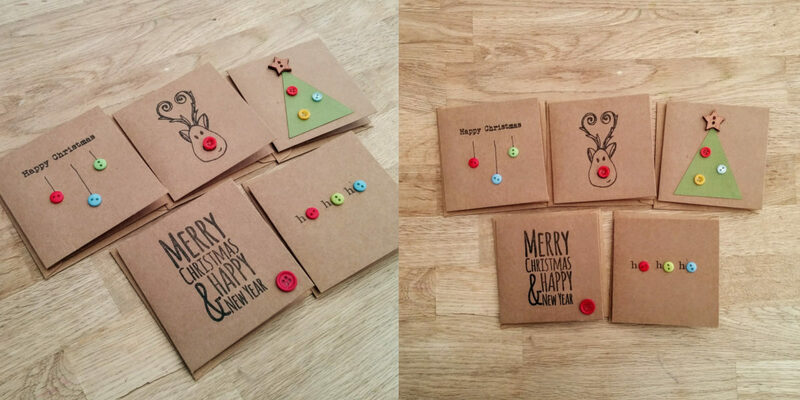 You will need a hard quality brown paper and red, green and white threads. Put the threads together and create a border for the brown paper card. Write a Christmas message in the centre and you’re done! The simplicity of the card is what make it very wholesome. 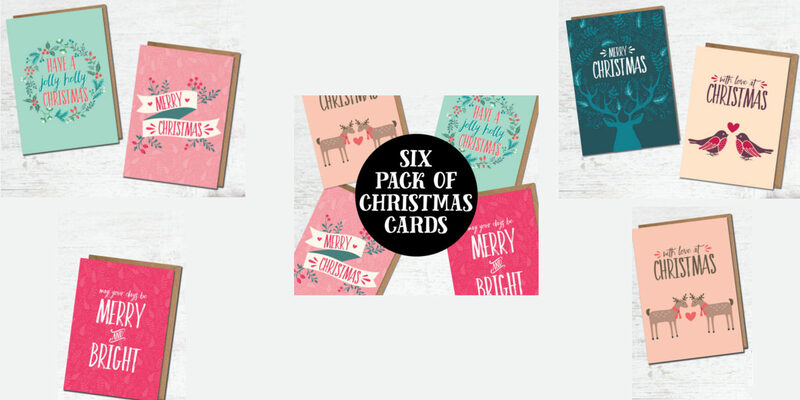 Here is a pack of Christmas cards to give you easy and interesting ideas to create your Christmas cards. It features minimalistic designs in the form of solid colors and some interesting Christmas elements. Perfect for someone who loves to work with gold and glitters. The design is beautiful and also very detailed. The design can also be created with the help of cutout technique that gives it a stamp print kind of a look. Quilling is an interesting art and can be a great hobby if you give it a try. In fact, the holiday season is a best for that. 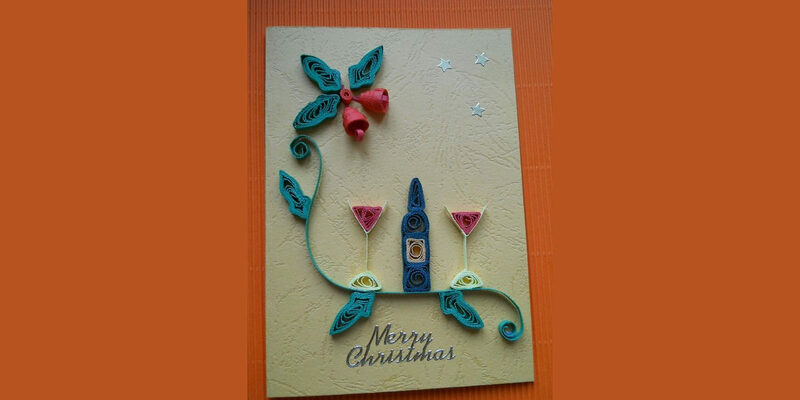 A Christmas card with quilling design would certainly make the receiver feel very special. Another card with brown paper! This time you will need few extra tiny decor and ornaments. As a result the card would be a lot more fancy. 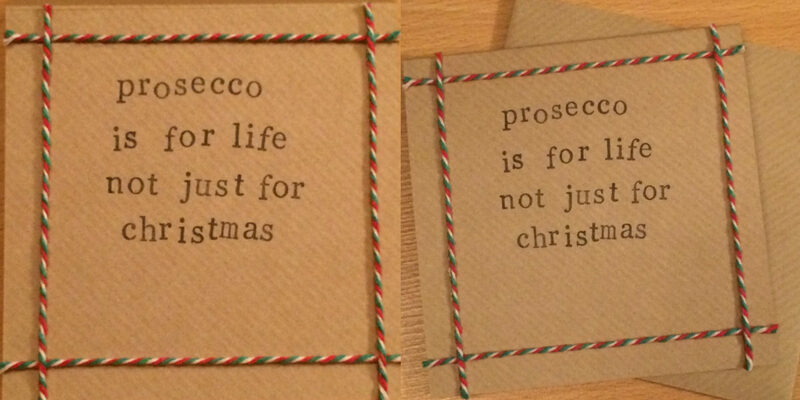 Even more perfect for people who are celebrating their Christmas together. If quilling is about rolling papers, Origami is an art of folding paper into different shapes and size. The art comes from the country of Japan. 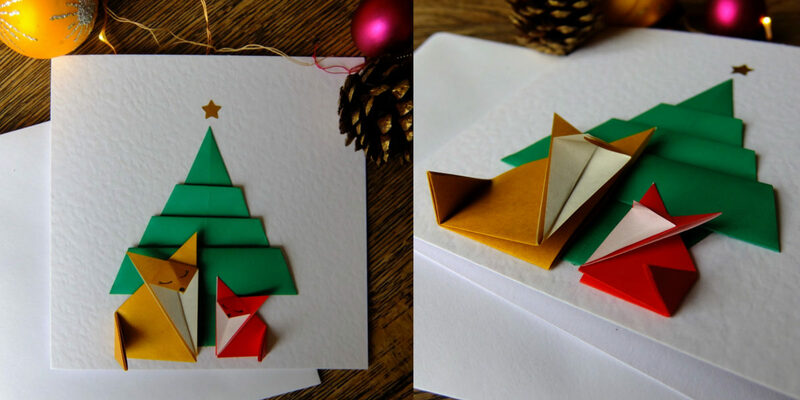 You can create various shapes out of paper and make a lovely Christmas card out of it. Another interesting idea to help you and our personal favourite too. We love how creatively buttons have been used. These tiny elements make the cards look adorable and playful. 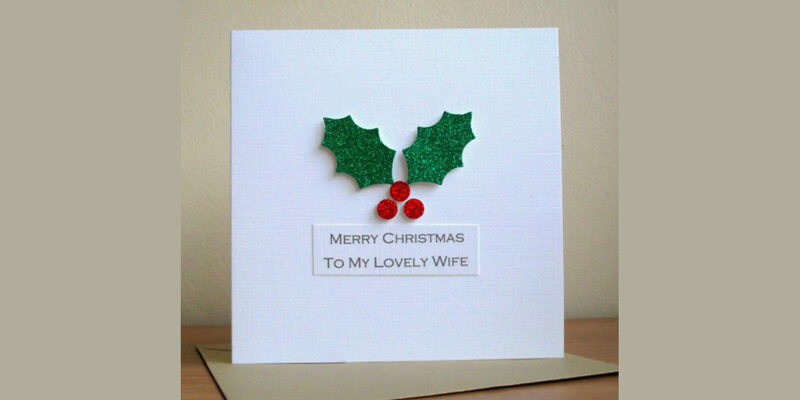 Your lovely wife would surely be glad to receive a card in which you put in your thought and effort! Here is an easy idea to please your better half this Christmas. 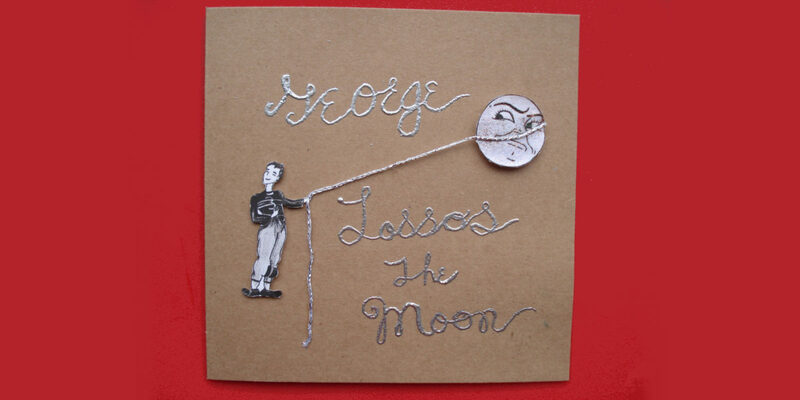 This can be a little intricate and you will need a little proficiency in the art of paper cutting to pull of this idea. But we have a tutorial video here for you. If you love Christmas then you must also be fond of It’s a Wonderful Life, an all-time Christmas Classic! How about capturing a great moment from the movie? Wonderful, isn’t it? A simple white and red card with a cute Santa face in the middle. 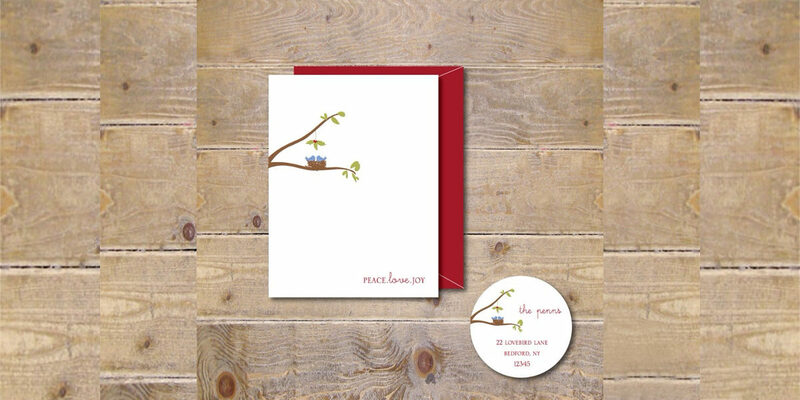 We love this card and if you want to create this card make sure it is done neatly. The charm of this card lies in the precision and neatness. 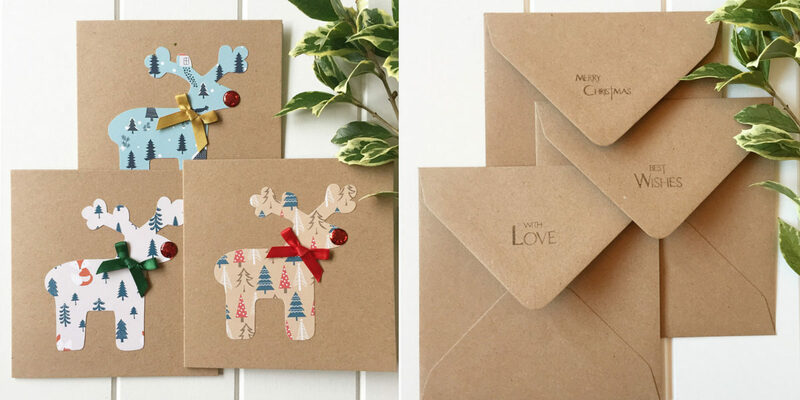 Take your favorite gift wrappers cutout them in the shape of a reindeer. Paste them over a cardboard and decorate it with the elements of your choice. Could it be more simple? For people with finesse and painting talent, you can easily paint a Christmas card. The fact that it is hand painted speaks volume about your intention, so make good use of it. Simplicity can be breathtaking sometime, look at this card for instance. It is a delight to see that a mere play of lines and dots could be conceptualized so creatively. Are you or your partner fond of Penguin? 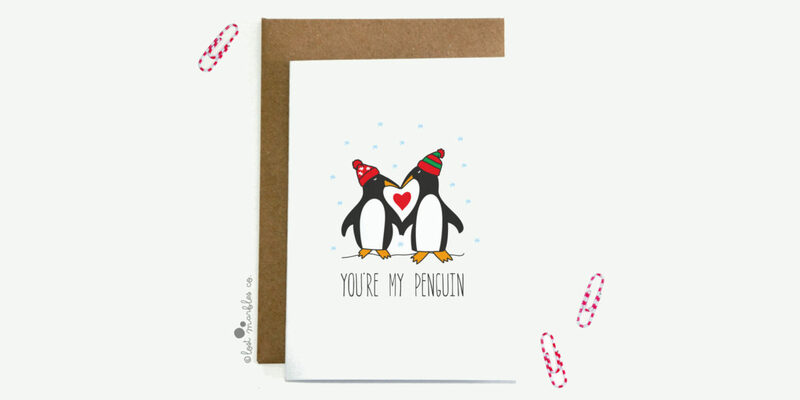 Do you believe in the “Penguin” kinda love? If so, then ditch the sleigh, the reindeers and the horses and convey your wishes with a Penguin card. 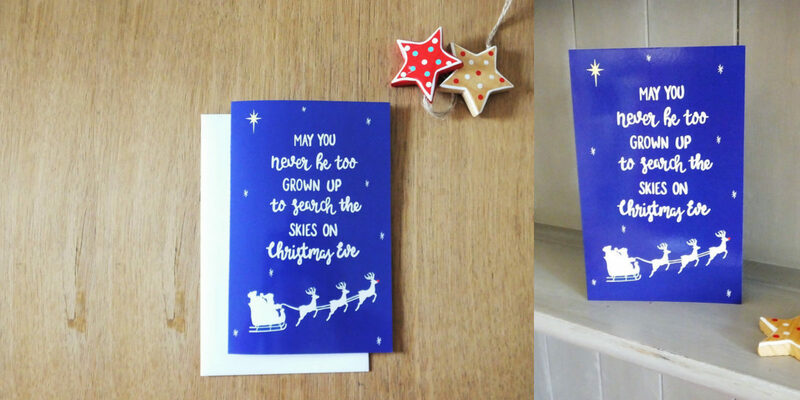 This card is easy to create with the help of a Sharpie pen. If you find it difficult to handle a brush, use a Sharpie pen to write on your card. If nothing works for you then we have a sure shot shortcut for you. 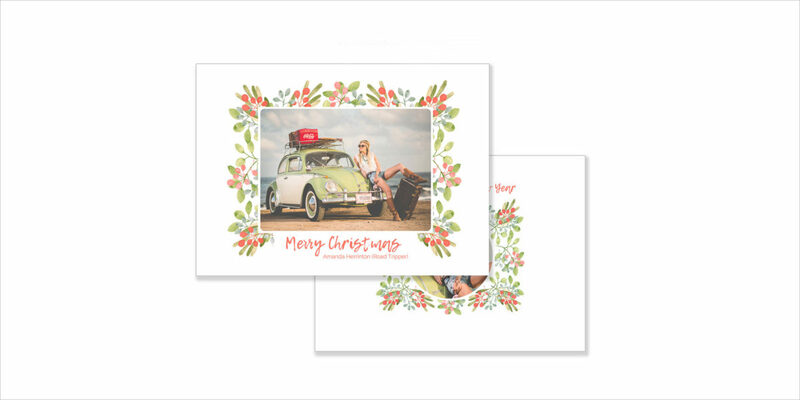 Create a card with the help of a photograph and give it light borders to make it look more personal. 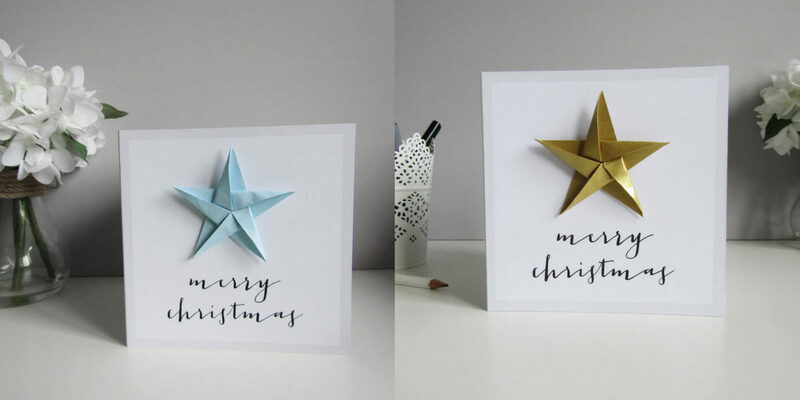 Create a set of Christmas cards with the help of colored papers. 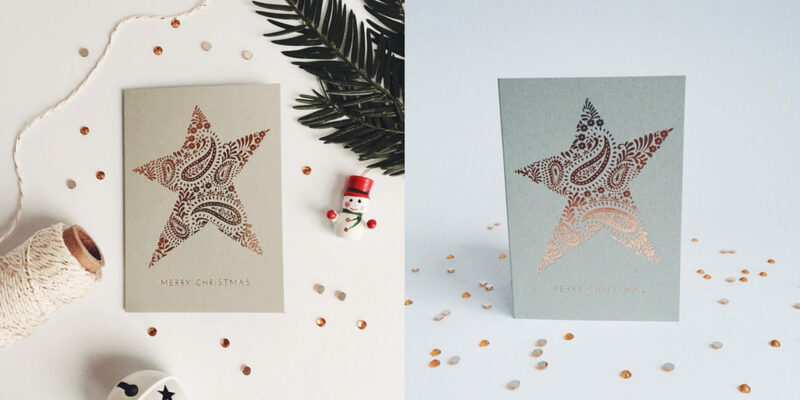 On each colored paper draw your favourite Christmas art with the help of a Sharpie pen. This idea is in fact perfect for kids to try. Another Origami card with a colorful and interesting design. The best thing about this DIY is the zero mess factor.